Your memory of the first day of the rest of your lives together... something for you...your kids...and your grandkids! 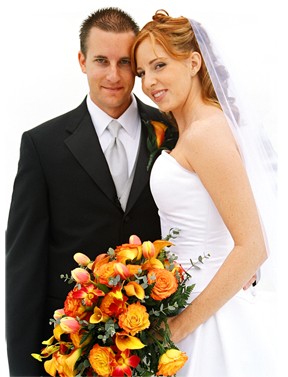 Your special day will be captured forever with our specially trained staff. We are not your run of the mill college student filming weddings. We are professionals in our field. From arriving in formal tuxedos to capturing the emotion of the day. We're in it for you! We believe that you can approach a project with an artistic touch yet not be obtrusive to the event or the magic. Start to finish our goal is to provide you with a catalog of memories with your kind of style. Whether you want minimal editing or an elaborate video, we also cater to everything in between. Our team is headed by owner Darren Purcell, experienced in providing crystal-clear digital video with graphics, music & magic. Videos are available on DVD or Beautiful HD-DVD or Blu-Ray. © Copyright 2000 - 2009 Ultimate Wedding Studios, All Rights Reserved.